You know, it’s sad, but I have very few childhood Easter memories. Perhaps it’s too far back for me to remember anymore, or perhaps nothing memorable happened. 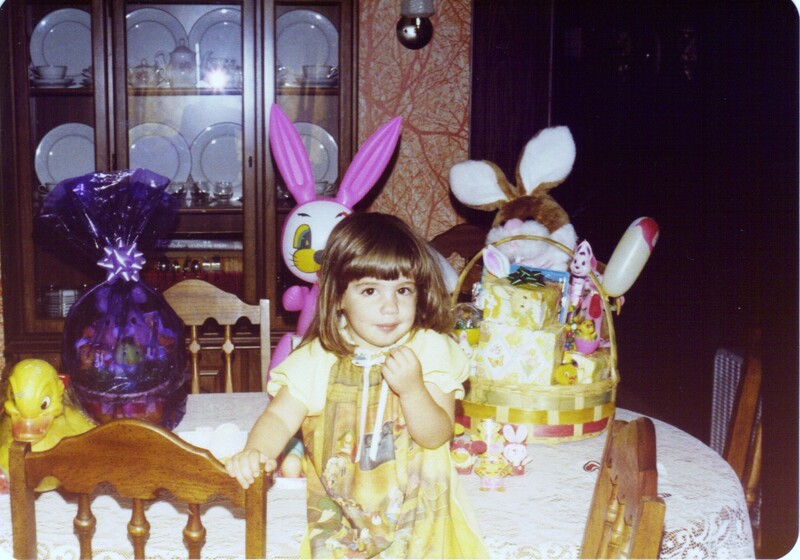 At any rate, there are only a couple of different Easter pictures in my mother’s photo collection, and strangely enough, those are the Easters I can remember. 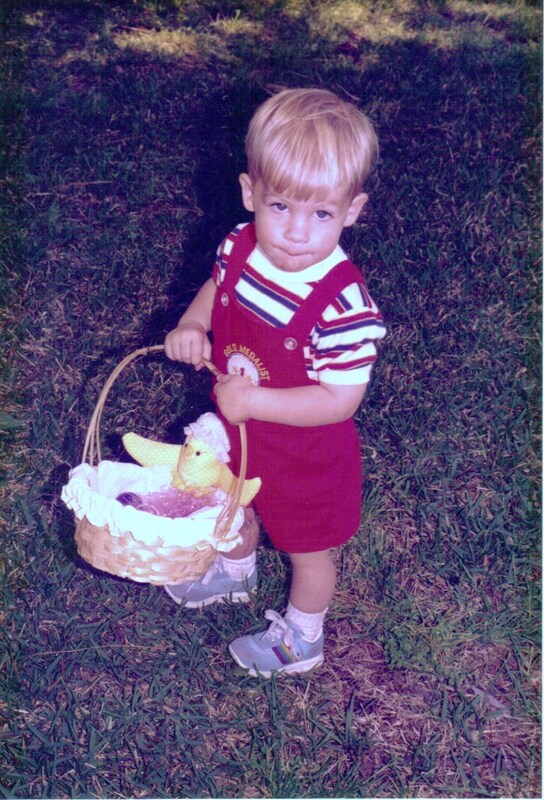 I’m pretty sure the Easter picture of me, below, was taken in 1962. I still remember shopping for the dress, and I remember having to wear that stiff, scratchy crinoline underneath it! Why are most Easter photos taken while the subject squints into the sun? Oh the joys of parenthood! It gives us a chance to enjoy holidays again, through the eyes of our children! 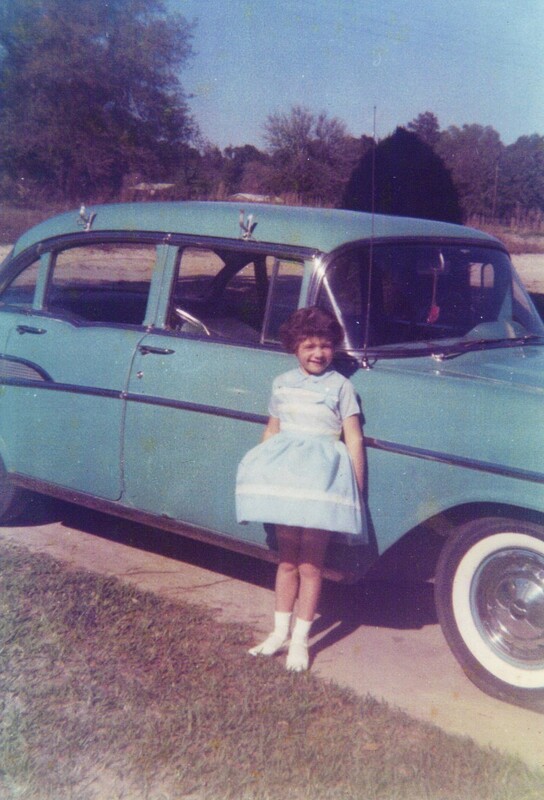 There were lots of Easter baskets, egg hunts, chocolate bunnies, real bunnies, plus a few three-piece suits, Easter bonnets, pretty dresses (without scratchy crinolines) and patent leather shoes around our house for many, many years! 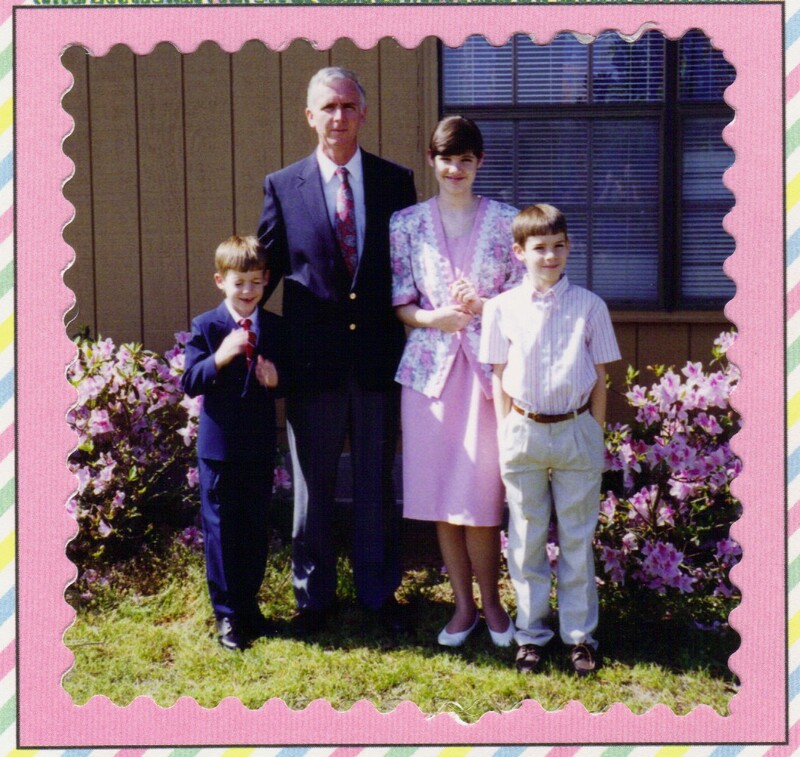 In the good old days, we took more than our share of Easter family photos on the way to church–and, looking back, it now appears that somebody was always frowning or squinting–in every single picture! In those days, our camera didn’t have an automatic timer, so somebody always got left out of the family photos…preferably me! Flash forward another twenty years, or so, and here we are in 2013! Things are really hoppin’ around here again! Our children have all grown up, gotten married, and now lead their own busy lives; but, in the process, they’ve given Ed and me the most precious gift–a growing family and some grandchildren! Fun times galore! They say, “Grandchildren are our reward for growing old!” Well, it’s true. The Easter excitement level is nearly as high around here as it was twenty-something years ago, only I’m not the one in charge of the children anymore! No more stressing over “just the right Easter outfit” (times three) or making and hiding Easter baskets until Easter morning! No more stressful mornings of trying to get three people and myself dressed for church, then striving to get a good family photo. Wishing you and yours a very happy and blessed Easter. Ed and I will be cooking Easter lunch and hiding eggs for our family. I’m still pondering the menu, but I’m pretty sure turkey/dressing will win out. It’s gotten harder to get everyone together since Brad and Jennifer moved away, but Jennifer is off, so they are planning to join us for the day. Our plans are to get the grandchildren together on Saturday evening to dye some eggs, because it’s sort of become a family tradition the past few years. 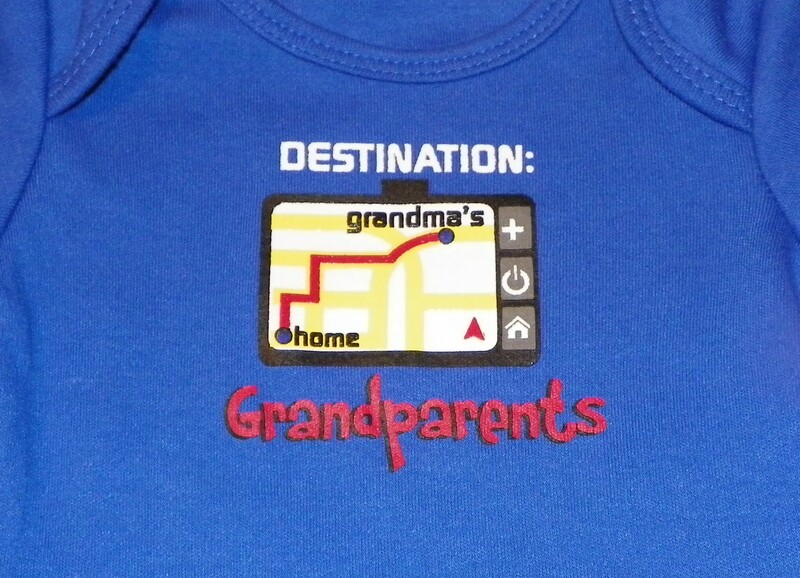 Some of the “grands” have been sick this week, so I hope they’ll be well by the weekend! Ed and I will be hiding around 200 eggs before our guests arrive to eat lunch. The adults enjoy egg hunting as much as the children do, so we usually have a good time! Unfortunately, I won’t be attending a sunrise service or eating too much chocolate, this year. I feel much too young to be dealing with so many different health issues. March 28 will mark my 19th year of dealing with rheumatoid arthritis and the related issues, but 2013 has been kinder, so far. 4. What’s a springtime flower you associate with your childhood? Due to family issues in own home, I spent the entire summer of 1963 living with my grandparents. I have lots of memories of that summer, both bad and good. I remember my grandmother having a row of zinnias growing in the vegetable garden. 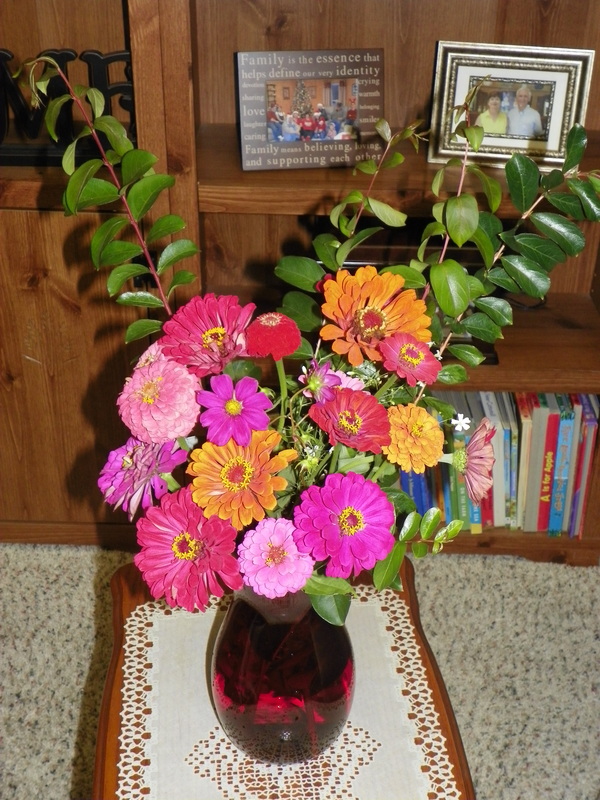 She’d occasionally go out and cut a bouquet of zinnias for the house, and I thought they were so pretty. Last spring, as a tribute to my grandmother, I planted a row of zinnias in our first vegetable garden. I couldn’t help but think of her when I cut the first bouquet. 5. Ever sung karaoke? If so, what’s your go-to song? If not and you’re given the opportunity, would you? I can’t carry a tune in a bucket, so I’ve never sung karaoke, nor will I ever do so! I have a neat little wooden cabinet unit in my kitchen. The right side of the unit is a trash container. To the left of the trash container are three vertical shelves, each containing a basket. In those three baskets I have my favorite cookbooks, bread and chips, and dish towels. Last Friday night. In the course of our conversation, my son said to me, “Dell (the company) is taking our [computer] department out for lunch”. I thought he said, “Dale is taking our department out for lunch.” ( Dale is the name of my other son’s employer, whose company recently had a work project going on at the university where Brett is employed.) My first thought was, Is Dale crazy, taking all of those people out for lunch? and I excitedly said, “Dale is taking all of y’all to lunch?! Then Brett explained to me that he said “Dell”, not “Dale”. The laugh was on me, and I felt foolish…again! 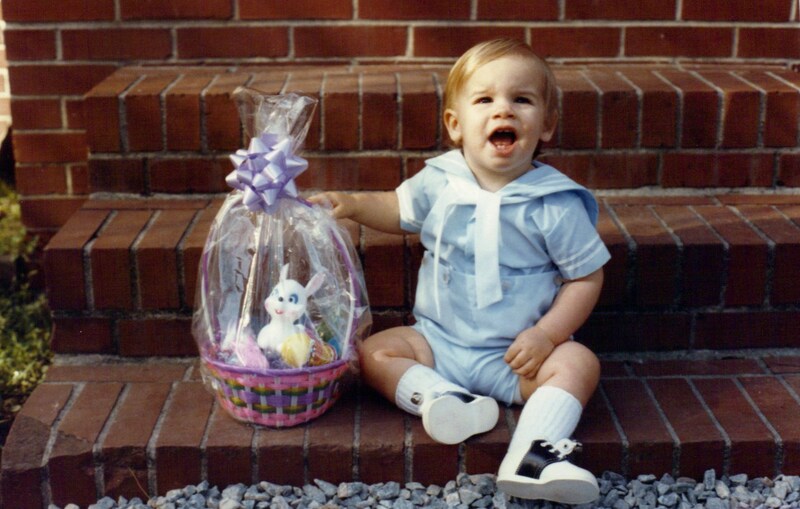 Last Easter, our grandson, Chase, was too tiny to hunt any Easter eggs. 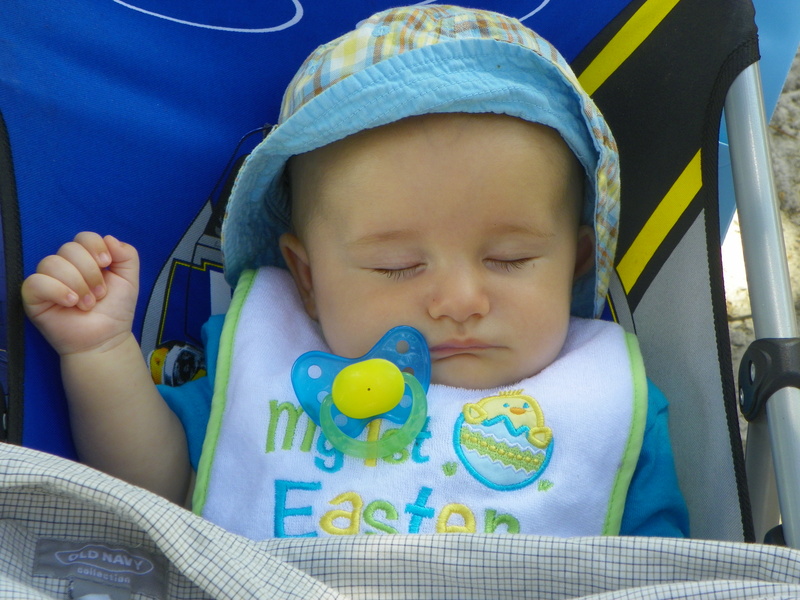 In fact, he slept through most of the egg hunt! 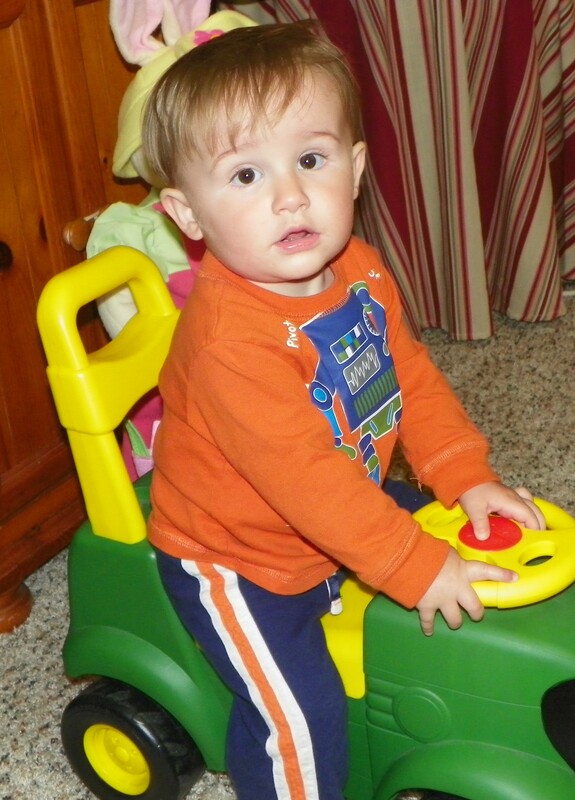 This year Chase is a big boy, with a brand new haircut, and he is running all over the place! I’ll bet he won’t be sleeping during the egg hunt, this year! Throughout my forty years of being a wife and mother, my kitchen has been the hub of lots of different activities–from birthday parties to board games. 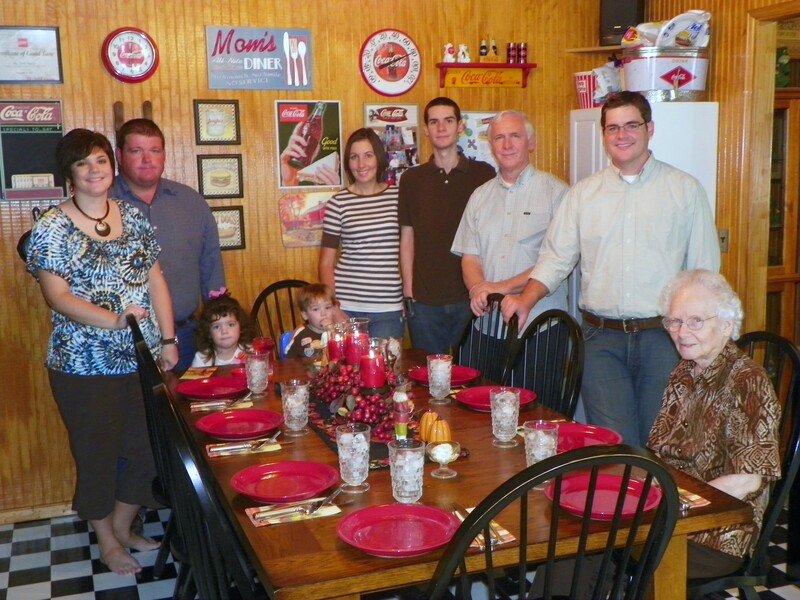 In fact, some of my all-time, favorite family memories center around the kitchen, but that’s a post for another day. Today I’m writing about changes in the kitchen, as my life continues to progress. Over the years, I’ve experienced lots of changes concerning cooking in the kitchen–from learning to cook for a newly married couple, to learning to feed a family of five. From feeding a family of five, back to learning to cook for only two again! Now when the entire family gathers, I’m feeding a family of eleven (twelve, counting my MIL)…and praise the Lord, we’re still growing! Feeding our family has evolved into more of a challenge than I ever could have imagined as a young bride, but I always wanted a large family! Just think, it’s only taken us forty years to get here! I’ve learned, over time, to change and adapt my recipes (and pot sizes) to fit our family’s changing needs. My pot cabinet is filled with pots of all sizes, to accommodate any number of people, but I’m quickly learning I don’t have enough large pots to make a meal for a family of twelve! It takes a lot of food to feed a dozen hungry people! In fact, I may have to invest in some new pots soon. When we moved into this house, I searched high and low for a kitchen table large enough to accommodate our growing family. I failed! Five years ago, there were only eight of us. These days, even when we add two extra chairs at both ends of the table, we still can’t seat everyone, but it’s a wonderful feeling! Thank goodness for the portable card table! It’s a funny thing, when I was growing up, the children always sat at the extra table during family dinners. These days, Ed and I usually end up sitting at the card table because nobody else wants to! What’s up with that? Until recently, one could always find plenty of snacks in my kitchen. I loved to snack on cookies, cake, or candy, and made sure I had plenty of this type of food in the kitchen. These days, thanks to my new dietary restrictions, about the only thing you will find in my kitchen are some graham crackers, rice cakes, some fruit–and the candy that was left over from Halloween! My hungry visitors probably don’t find my kitchen such an exciting place anymore! I’m afraid Ed and I may be rapidly falling into the category of ” old fart” parents! In fact, these days, it’s quite common for our hungry off-spring to bring their own food whenever they come to visit! One other thing makes me wonder if, perhaps, Ed and I may be quickly becoming “old farts”. Ed always helps me with kitchen duty, but prefers to wash dishes by hand, rather than unloading and reloading the dishwasher. This wouldn’t bother me much, except Ed forgets to turn on the lights over the sink, and refuses to wear his glasses while he’s washing the dishes–so he’s basically washing dishes like a blind man. The end result can be disturbing! Ed’s sometimes misses a few specks of food on the dishes, here and there! I’ll know we’re in real trouble when the kids start bringing over their own eating utensils, too! In the meantime, we’re not officially “old fart” parents– yet! Hello again! It’s time to rise and shine. I love azaleas. They’re one of the few flowers/shrubs I am able to grow, since my yard is filled with so many trees! Occasionally, I’ll have an allergy attack, but not often. Pine pollen seems to bother me at times, and today seems to be one of those times! 3. Have you ever been ‘blogged out’ and needed to take a blogging break? Yes, I do get “blogged out” from time to time. I think we all do. For now, I’m blogging three to four times per week, which feels about right to me. For the most part, spring has sprung, but the weather has been very unpredictable lately. Our nightly lows are still dipping into the mid-30’s, which is cold for this late in March, but we had one of the mildest (and wettest) winters I can remember in recent years. The thunder was soon followed by the sound of marble-sized hail beating on our tin roof! (Do you have any idea how noisy hail is on a tin roof?) The hail was followed by lots of heavy rainfall. By mid-morning, Sunday, our chickens were wading, once again. My poor girls! We received another three inches of rain over the weekend! The question I’m pondering today is...Will it ever dry off and warm up enough to get the rest of our garden planted??? Whenever I realized it was hailing during the night, I thanked God that I had decided not to plant those cucumber, squash, and tomato plants last week! My cabbage plants survived the hail just fine, but I’m not sure the more tender plants would have done as well. Around our house the arrival of spring is very evident. 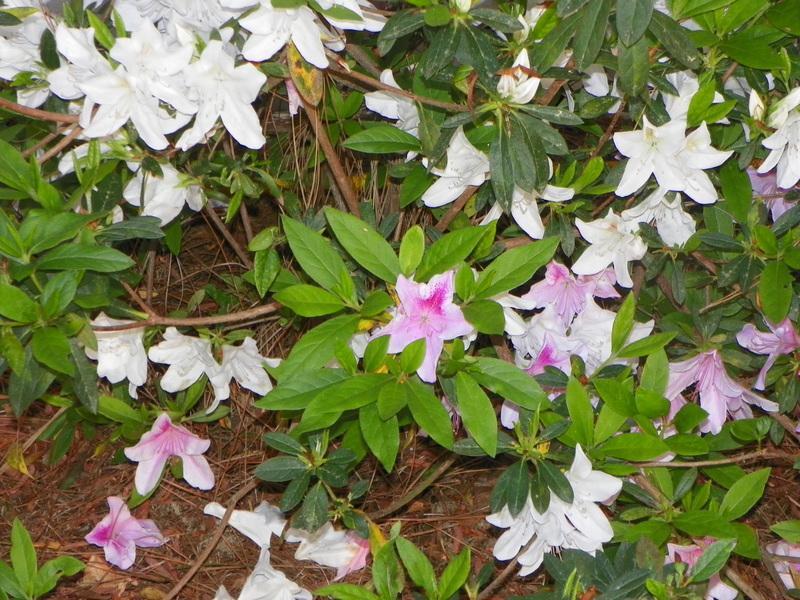 The azaleas are blooming, as well as the dogwood trees. We’ve been watching the birds flit and fly around for at least three weeks. A couple of bluebirds have recently become quite annoying, as they have developed an obsession with the side mirrors on our cars! The birds flutter about, looking at themselves in the mirrors, leaving a mess behind on the mirrors when they go! One day last week, those same bluebirds spent an entire morning trying to fly through the sliding glass door of my daughter’s house! They were very determined, but unsuccessful. I think “my girls”, aka “the chickens”, have become hormonal! I’ve been witnessing some strange behaviors from them lately. I do believe one of my girls thinks she’s a rooster! I saw one hen actually “mount” another hen the other day. Then yesterday, one of the hens ran up and “flogged” me. Flogging is normally what roosters do. ( They run and jump up at you, trying to scratch you with their spurs. Thankfully, hens have no spurs.) Flogging is one of the reasons I chose not to get a rooster. I’ll chalk this strange behavior of my girls up to “spring fever”, and hope it disappears soon! Like most people, I associate spring with new life. Our family has another new life in progress this year. Daughter-in-law, Jennifer, had her first doctor’s appointment on Monday. She had an ultrasound done, and she was able to hear the baby’s heartbeat for the first time. What an exciting time for her! Hearing that heartbeat for the first time is always so memorable, especially for a first time mother-to-be! Jen got a good report, but was referred to a perinatologist as a precautionary measure since pregnancy among cervical cancer survivors is still relatively new at this time. Praise the Lord for advances in modern medicine! Just a few short years ago, this pregnancy would not have been possible. Spring always makes me want to plant something! Although we planted two rows of “cool weather” vegetables in our garden, last weekend, I still have many tomato, squash, and cucumber plants begging to be transplanted! Some of my tomato plants are already twelve inches tall! I currently have them growing in large styrofoam cups. I think I might take a chance and plant about a dozen of those plants today. We have enough buckets to cover that many plants, should it decide to frost again. Spring means it’s almost time for Easter. I spent most of the day Monday putting out my assortment of Easter decorations. 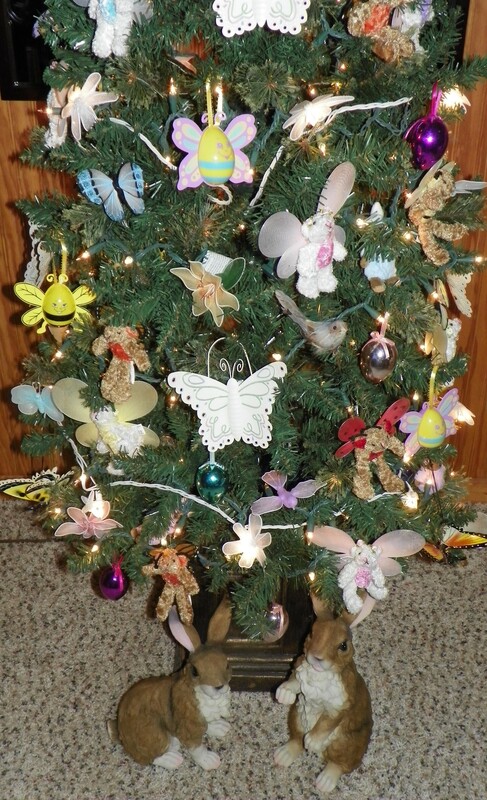 My year-round tree is now adorned with butterflies, birds, bees, and a few shinny eggs. My collection of Easter bunnies is scattered throughout the living room, and into the kitchen. Next week, this time, I’ll be planning the menu for Easter lunch! I’m looking forward to our yearly egg hunt, which includes our adults, as well as the grandchildren! We still haven’t found all of the eggs from last Easter! That’s about it for what’s happening around our house this first full day of spring. What’s happening around your house? Hello Spring! Only this morning it’s forty-something degrees outside, so it doesn’t as feel much like spring compared to yesterday’s high of 77 degrees! What’s up with all that? Hot or cold, rain or snow, it’s Wednesday–and that means it’s time for The Hodgepodge. Our hostess, Joyce, has provided us with a great set of questions, so let’s “spring” right into my answers, shall we? Only one word can accurately describe the weather in our neck of the woods–unpredictable! One day it’s hot, the next day it’s cold. Part of the day it might be raining, the other part might be sunny. One day it’s windy, the next day it’s calm. We never know what to expect from day-to-day, as our weather forecast is constantly changing! I’ll characterize our first day of spring as an “unpredictable lamb”. Tonight’s predicted low? Mid-thirties! My most dreaded spring task is painting our porches and their rails. Since all of our porches are uncovered, and we live under a bunch of trees, we have to paint Every.Single.Year! I have no real plan of attack, other than to get started, as soon as it stops raining so much! Us southern folks love our peas! Southern peas are an important part of our diet. Crowder peas, blackeyed peas, and garden peas are just a few of our favorites. We just put them in a pot and cook them in some water, along with some salt and seasoning meat, then we usually eat them over rice, except for the garden peas. Simply southern! Not much, thanks to a husband who often tells me how much he appreciates me and everything I do. I used to feel under appreciated, a lot, while the children were growing up. Children are needy! In those days, so much was required for them, there was very little time left for myself. Time has taken care of all of that, as the children grew up, married, and now have families of their own. I think my children appreciate me more now than they did back then–most of the time. I didn’t realize GR was retiring. Why, oh why, must things continually change??? Sometimes I use Google Reader, sometimes I subscribe to blogs through email, other blogs I just visit on my own or through the links provided on memes. For now, I guess I’ll bookmark my favorites. I agree. Although I hate going through difficult times in life, I always come out stronger in the end, and I learn life lessons. Tough times cause me to be a lot more appreciative of the many blessings I have been given, too. Without the difficult times, I’d probably just sail through life being complacent. A couple of weeks ago, I bought the complete dvd collection of the television series “Little House on the Prairie and “The Waltons”. I love both of these old shows, and have always wanted to own them on dvd. I found both sets through Amazon.com, for a price that was too good to pass up, so I bought them. Recently I discovered a humorous blog entitled “Parenting: Illustrated With Crappy Pictures” (I’ve linked to one of my favorite posts) I never fail to laugh when reading Amber’s posts, which deal with parenting, and are illustrated through crazy drawings. Check it out, I guarantee you’ll laugh, and who couldn’t use a good laugh these days?! It was probably when the air conditioning went out or when we had to have the radiator replaced. Once, we had to have the motor and the transmission replaced in the same vehicle! Thank goodness, I didn’t have to pay for either one of those costly repairs since the vehicle was still under its 36,000 warranty! The “big bad wolves” of my world are the chronic health conditions I share my daily life with. They can, and often do, make life miserable. I won’t bore you with all of the details, but believe me when I say this, If you have good health, you are blessed! I don’t know if there is a “best age” for having children, but judging from my own experience, I’d say mid-twenties. I had a lot more energy in my mid-twenties than I did in my mid-thirties, and I had a lot more common sense in my twenties than I did during my teen years! A few days ago when I apologized to Ed for asking him to replace the liner in our goldfish pond. What a trooper he was to accept such a challenge–and never complain! The goldfish pond project is officially finished now! Ed finished the retaining wall, and put the garden rocks back in place. You’d never know it looked like a disaster area just two weeks ago! All 169 fish are happily swimming in their new home. We expect the frogs to show up for their annual “frog party” (in the pond) at any time. The frogs will be disappointed at the amount of water lilies they will find to sit on this year, but there is still plenty of algae for the tadpoles to feed on, thanks to lots of warm, sunny days. We also managed to get our garden started on Saturday! Late Friday afternoon, Ed and our son-in-law, Clint, got the ground ready. Our tractor had been out of commission for a while, so it was great to hear and see it running again! No to all of the above questions. ( I guess you could say I’ve led a sheltered life.) Hubby, Ed, will buy an occasional lottery ticket, when the jackpot gets ridiculously large, but I won’t. I can’t stand the thought of throwing money away. No, I won’t be preparing the traditional meal for St. Patrick’s Day. Since Christmas, I’ve eaten more than enough cabbage to last me a lifetime! (Cabbage is one of the few “acceptable” foods on my new diet) As for potatoes, it’s a tie between baked and fried–depending on what I’m eating them with. Nothing compliments a hamburger like french fries, but I’d rather have a baked potato with my steak. Potatoes are not “acceptable”, but I’ll eat them occasionally. A long, comfortable, happy retirement with Ed would be better than a pot of gold! 5. March 12th marks the anniversary of the death of Anne Frank (June 12, 1929-March, 1945). Anne’s diary detailing her time spent hiding from the Nazi’s during the war ranks as one of the best-selling books of all time. Besides your blog, do you keep any sort of diary or journal? Was this a habit you developed as a child or is journaling something new for you? Yes, I began keeping a diary as a young teenager, and I’ve periodically kept a journal, of some kind, throughout my life. Once I began my blog, three years ago, I stopped keeping a written journal. I’ve always enjoyed writing my thoughts and what’s going on with me. 6. What’s an item in your home or closet that contains every color of the rainbow? ‘Cause I couldn’t think what to write! Look what I found in the chicken coop on Monday–the tiniest chicken egg I’ve ever seen! 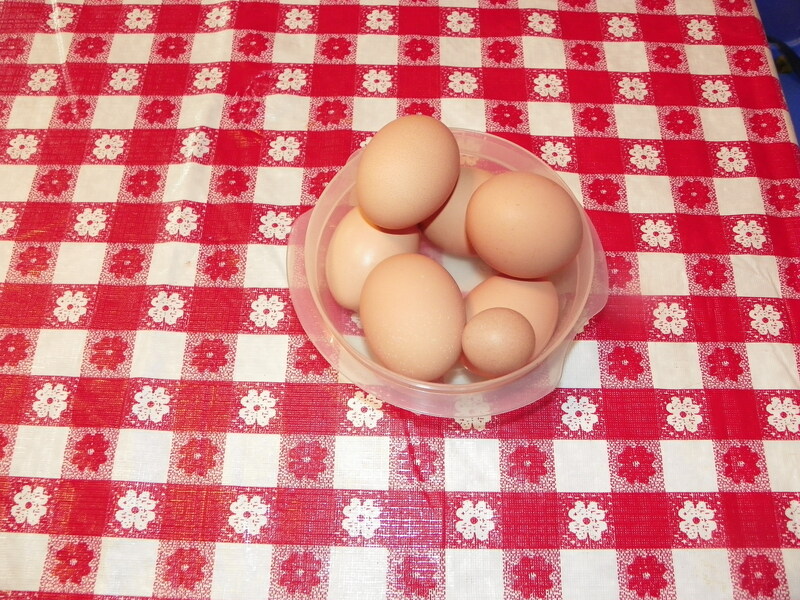 Somebody laid two eggs on Monday because we have six hens and I found seven eggs! On Saturday afternoon, Ed was laboring away on the goldfish pond, while my daughter and I were sitting outside, enjoying her new outdoor swing. Out of the blue, our youngest son, Brad, and his wife Jennifer came driving into the yard. What a pleasant, unexpected surprise! The couple quickly joined us sitting outside enjoying the sun. Ed briefly stopped his work to welcome them, but quickly had go back to working on the retaining wall– before the wet cement he was using had a chance to dry. After a few minutes, Jennifer spoke up and said she had an early St. Patrick’s Day surprise for me. 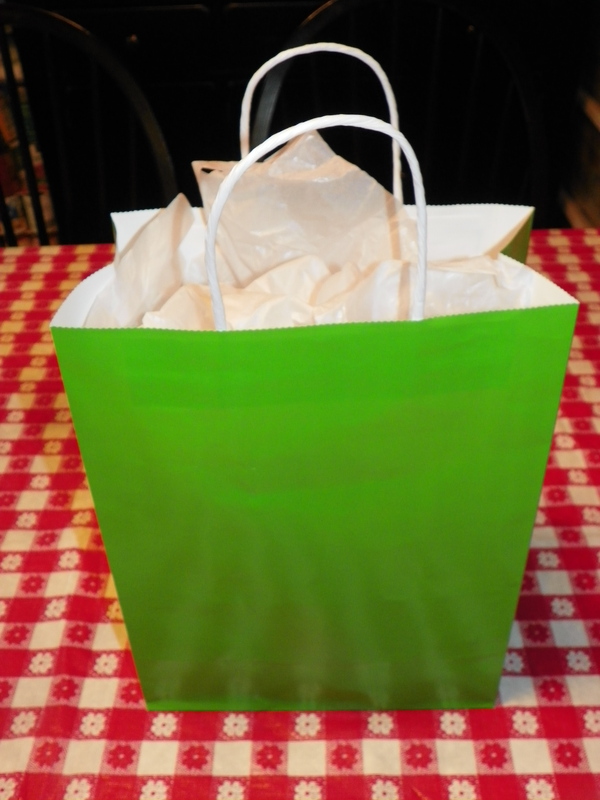 She went to her car and came back carrying a small, bright green gift bag. I was a bit puzzled, since we don’t really celebrate St. Patrick’s Day, but I took the bag and began to cautiously peek inside. 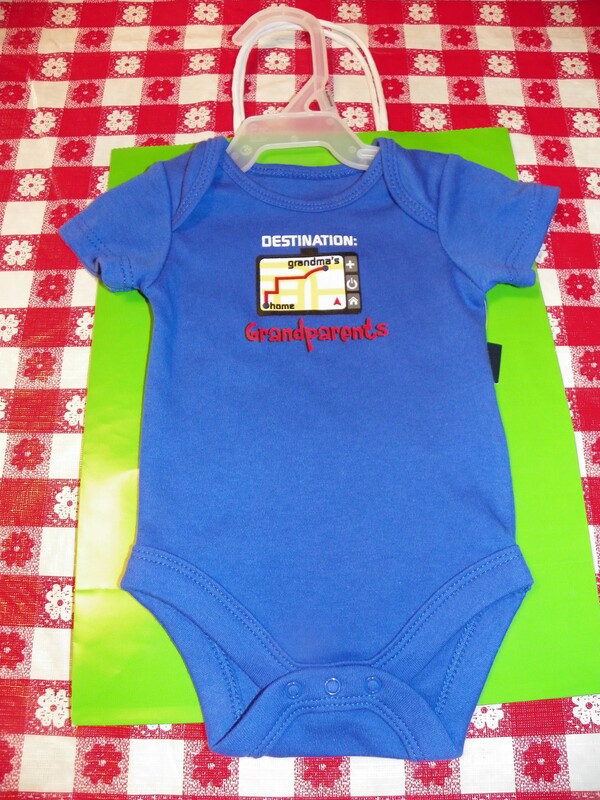 When I peeked inside of the bag, I saw what I thought looked like a small blue dog shirt with the words ” Destination Grandma’s Home” on the front–and for some reason, my first thought was Jennifer has bought a shirt for my new grand dog! (My daughter’s family had recently acquired a new dog) I quickly said to Jennifer, “No you didn’t!” and she looked puzzled. About that time, my daughter, realizing what was in the bag, turned to Jennifer, and asked, “Are you pregnant?” Jennifer quickly answered “Yes!” Once I finished pulling the gift out of the bag, I discovered it was actually a baby’s onesie! The joke was on me! I had to explain that I thought the gift was a dog shirt! As a way of announcing their special news, the excited couple explained they’d tried to find a shirt that said “Daddy”, for Brad to wear, but were unsuccessful in finding one. They settled for the little blue onesie instead. If I’d pulled the entire garment out of the bag, I would’ve immediately understood the message! Meanwhile, Ed, who was still working on leveling the wall around the goldfish pond, had no idea what was going on! He wasn’t paying attention to us, and couldn’t hear our squeals of delight over the noisy pond pump near his head. I quickly yelled loudly, “Ed, you’re going to be a grandpa!” across the yard. Lots of hugs and congratulations were certainly in order! What a moment! If you are a long-time follower of this blog, and are aware of Jennifer’s medical issues, then you know what an extra special blessing this pregnancy is! Praise God from whom all blessings flow! Due to her medical history, Jennifer will be under the care of a perinatologist. Yes, life is filled with surprises–and weekend surprises like this one are truly the best kind! Estimated arrival day of our highly anticipated surprise bundle is on Ed’s birthday in November! We usually begin planting most things on or around “Good Friday”. Hopefully, the ground will be dry enough by then! Normally, we would have already planted some potatoes on or around Valentine’s Day, but it wasn’t possible due to torrential rainfall during the month of February. In the meantime, I have lots of plants growing in the greenhouse! 2. What is more egregious; cheating on one’s spouse or spending the family into being bankrupt? It’s hard to choose, since I love almost any kind of pie, but I’m going to say pecan pie. It’s sinfully sweet, and definitely not an acceptable part of my diet anymore–but I still love it! Heather, if you’ll cook the man his favorite dinner, and follow it with an evening of TLC, it should provide a memorable and enjoyable birthday experience for Wayne 🙂 As for what I would give him, I have no idea. 5. What was the most memorable surprise you’ve ever received? It was a very good weekend around our house. The weather was beautiful on Friday and Saturday, so I took full advantage of it by spending many hours outside. Ed and I continued to work on putting the fish pond back together. ( Actually, Ed worked, I watched most of the time.) He was doing the tedious work of replacing the retaining wall. We’ve found the new type of liner has been much more difficult to work with than the old one! It’s thicker, therefore, it’s been harder to get the folds and wrinkles (at the top) to lie flat. Getting the wrinkles to lie relatively flat is important when constructing a wall on top of them! Hopefully, we’ll be finished with this project by next weekend, and all of the work and worry will soon be a fading memory. Ed and I also spent some great family time with our adult off-spring and their families. There was food, fun, laughter, and even a couple of surprises. Actually, one of the surprises was a BIG ONE, but it deserves a post of its own, so you’ll have to come stop back by tomorrow to find out what it is!